I have a strong tendency not to be very positive on my blog or focus on particularly happy topics, so I am hoping this little project will allow me to inject some of this much-needed happiness and Positivity into my blog. 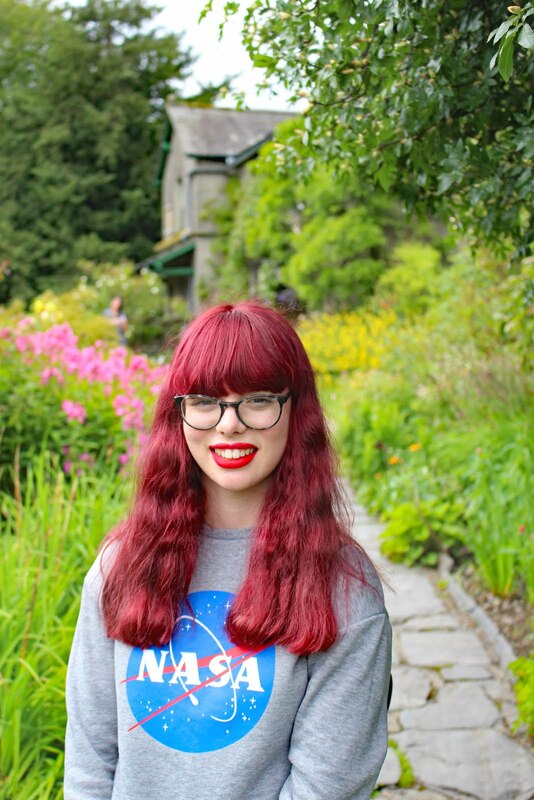 Make sure you check out Hannah's happy list and follow her, HERE so you don't miss any posts from the positivity project. What makes you happy? I would love to know in the comments below! For some reason I love it when I get emails, haha! This was such a good post! 9, 11 and 20 are things that make me super happy too! This is lovely Nicole! All of these make me go YES! So I can't really pick out any particular favourites 😂. I'm looking forward to reading more posts from this project! Aw reading this post made me super happy Nicole (: I get happy when someone uses my name in texts (weird one? 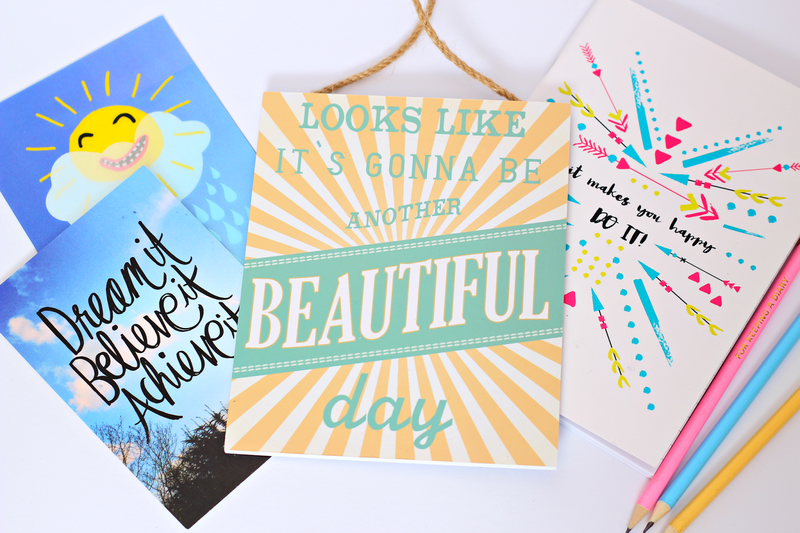 ), when it's bonfire night, buying really cute birthday cards and hugs!! Getting post, being outside, my dog, tea and good books! A good cup of tea and drawing, I love to draw! I love this idea, it's so positive! I love stationery and TK Maxx/TJ Maxx is a really good spot to get some notebooks at a good price, I have gotten some lovely ones for €5/£4. 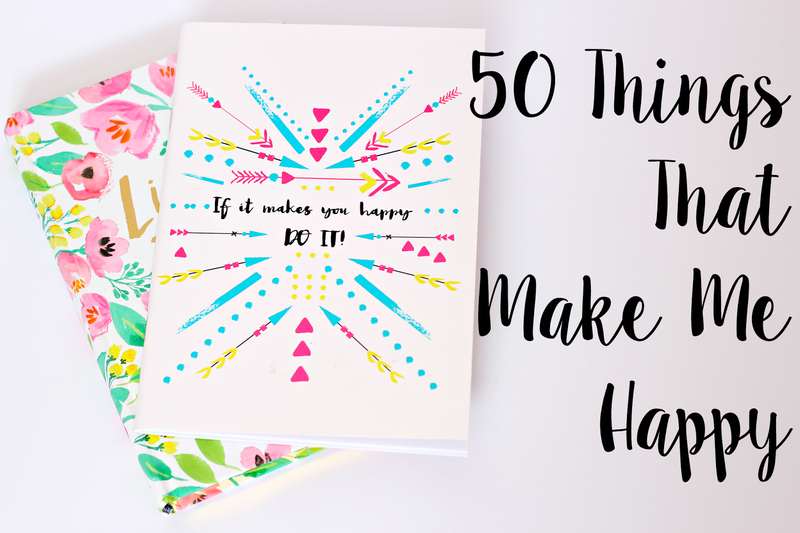 I used to write a weekly happy list but life got a bit too unhappy so I couldn't actually think of anything to put on it. I was in a dark place. I might try and bring it back soon, although I'm feeling all sorts of lost and crappy and super anxious at the moment. I'm scared if I'm not doing something meaningful and productive I'll fail at life or something. I think its such a British thing - that to be successful you gotta be busy busy busy and stressed. When I worked in France for a couple of months it was sooo different! Everyone was happy! They focus more on family time and having fun! Good food and good drink. The UK feels like a dark hole at the moment. What a brilliant idea! And some lovely points you've made - the bee filter is one of my faves on snapchat (and the one that makes your face look like a piece of toast! haha) I also love fish finger sandwiches and Harry Potter! I'd also add seeing new places, a cup of tea and digestives and cuddles with my cat!! I've been seeing this around Twitter and now I understand why it got started. Some things I like are - getting positive feedback on Instagram (bc people can be mean about photos), "meeting" fellow bloggers, getting funny texts, getting a project turned in a work, and feeling like I did one good thing during the day.